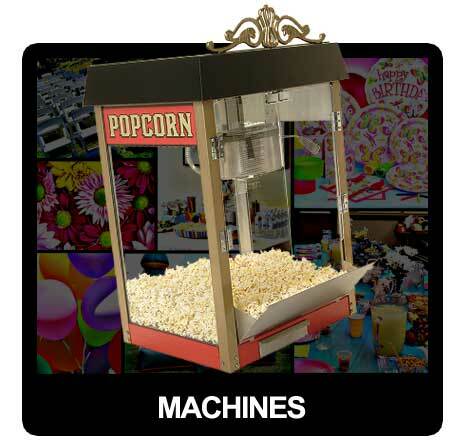 In our party rental services gallery page, you can link to any service and products. 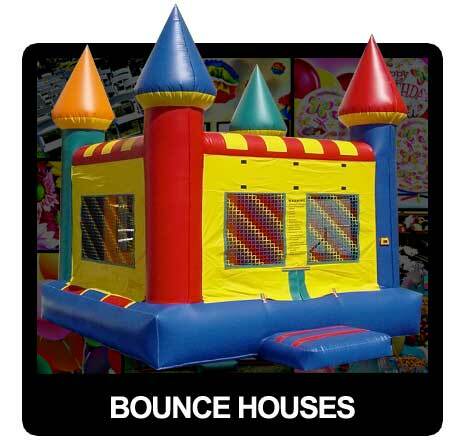 From here you can check out our latest bounce houses for rent. With all the latest bouncers at the best prices. 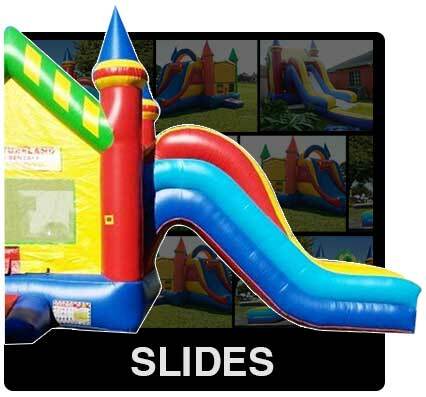 WE HAVE BOUNCE HOUSES AT A STARTING PRICE OF JUST $79 HURRY AND CALL US AT 786.366.8615 – 305.506.7317 (SPANISH). With our grand selection of inflatable water slides, you will be able to beat the Miami heat this summer. Hurry and get wet with us here at Adventureland Party Rentals Miami. Our slides start as low as $139, call us today! We got tables, chairs and lounge furniture at unbeatable prices. In here you can check out our Chiavari chairs with cushions in different colors. You might want some beautiful cocktail tables for your event, we have it all. 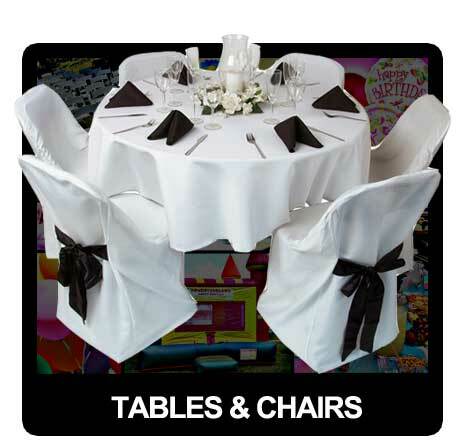 Round, square all types of tables are available in our Tables and chairs web page go to it now or simply give us a call now! What you will find in our Misc. Entertainment page its loads of fun! In here we got clowns to entertain the little ones. What about a cool pony ride to go along with the clown. Or maybe a nice petting zoo if you are an animal lover like us. But who can say no to a choo choo train? We got the best entertainments here at Adventureland party rental. 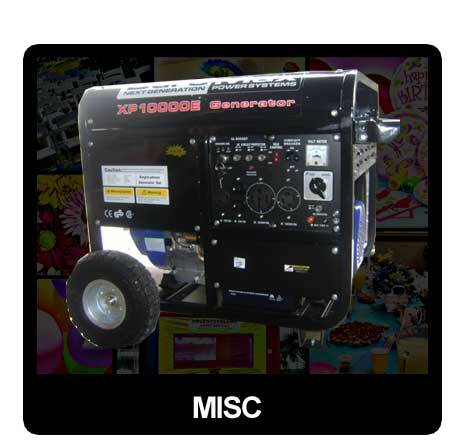 But not only that in our Misc page you will find generators, string lights, coolers and even fans to cool you off. If you are having an outdoor occasion like a wedding on the beach or a park birthday party we got just the right tent for you to rent. 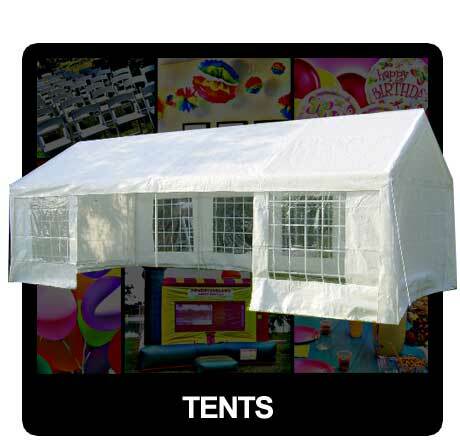 You might just need a small 10′ x 10′ tent, no worries give us a call right now to rent it. But you might be having a big event and that’s where Adventureland excels the most. We got big tents as big as 40′ x 100′. for weddings and big event gatherings. We also got clear tents that look amazing, just call us at 786.366.8615 – 305.506.7317 (SPANISH) or email us at alprentals@gmail.com and we will respond your email within a day. Last but not least our concession machines will keep their tummies full. We got hot dog machines ready to give you tasty hot dogs by the dozens. If you love popcorn you’ll love our popcorn maker wth a clear glass window so the little ones can see the popping! What about for the hot days? We cool you off with our amazing snow cone machines. We all know kids can have a sweet tooth, why not give in just for this special occasion with a cotton candy machine? So check our inventory from here and enjoy our services and products and give our friendly staff a call today!